What is SQL and how to learn it - Introduction to SQL for beginners! What is SQL and how to learn it – Introduction to SQL for beginners! I was watching Crime Patrol the other day (no judgments, please), and when the police called up the motor company to discover whom the car present on the crime scene belonged to, I started wondering how easier it has become to keep a record of data with the use of databases. And that’s what inspired me to write this article – that and of course, the SEO benefits! 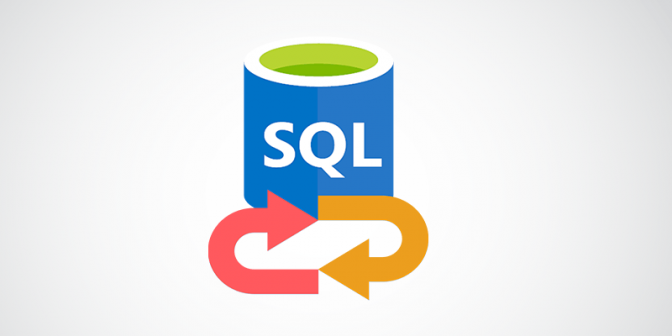 If databases were lifeless zombies, SQL would be the elixir that brought them back to life. Before we talk about SQL, let me ask you a simple question. We know Flipkart saves all your data – personal details, wishlist, and orders – in a database! Your phone also stores all your contacts in a database! But what is a database? A database is a systematic collection of data, which itself is a collection of facts about any entity in consideration. The simplest example of a database would be your photo gallery or your playlist where your images and songs are stored respectively. The need for a database arises owing to the fact that when you have a humongous amount of data, you need to organise it properly for utilising it. The most common type of database is a relational database which is a collection of data items with a pre-defined relation between them. These items are stored in the form of a table with rows and columns, which are known as records and fields respectively. The software used to manage the databases is known as a Database Management System (DBMS). It allows a computer to store, retrieve, add, delete, and modify data. DBMS defines the structure in which data is stored in a database. To sum up, a database is a collection of organised data and DBMS is a system that manages a collection of databases. Simply put, the difference between a database and DBMS is the same as that between a file on your computer and the operating system. One of the most popular DBMS is MySQL, which is used widely across various organisations. Fun fact: MySQL was named after My, the daughter of MySQL’s co-founder Michael Widenius. MySQL is an open-source relational database management system which uses SQL for accessing and managing databases. An important component of LAMP stack, it works on many operating systems such as Linux, Unix, and Windows and supports many languages such as PHP, Java, C, C++, etc. An improved version of MySQL is MySQLi, where ‘i’ stands for improved. MySQLi has an object-oriented as well as a procedural interface. It also offers a support for prepared statements and multiple statements. Now, let’s take a look at SQL which puts Excel to shame because of its ability to store billions of records. SQL stands for Structured Query Language. SQL is a programming language which was designed for managing data in a relational database management system. It is used for querying and editing the information stored in a certain DBMS. In short, SQL is the language in which we communicate with the databases. 1. Data is stored in the form of tables in a relational database. The Data Definition Language (DDL) in SQL allows you to create these tables, indexes, domains, character sets, and new databases as well. You can also remove and modify existing components in the database, rename the tables, and delete the data from a table. DDL includes CREATE, ALTER, and DROP commands. 2. The Data Manipulation Language (DML) in SQL allows you to select, insert, delete, and update the existing records/data stored in a database. The difference between DDL and DML is that you cannot manipulate the objects and schemas using the latter. DML includes SELECT, UPDATE, INSERT, DELETE commands. 3. When you add your debit card details while shopping from Amazon, do you worry that your details might be misused? No, you trust Amazon! Do you know how they make sure that your data is protected? The Data Control Language in SQL prevents unauthorized access to important data by granting or revoking permissions to specific users only, ensuring that there is no breach of data. It includes GRANT, REVOKE, and DENY commands. SQL could easily be called the Rajnikanth of database languages and what makes it so popular are the features and advantages of SQL. 1. The syntax of SQL – The tokens and syntax of SQL are simple English words like select, insert, delete, etc. which makes SQL easy to understand and learn. 2. SQL is declarative – SQL is a non-procedural language which means that one doesn’t need to write programming logic and provide steps to indicate how a program should perform its tasks rather just needs to specify what the program should do. 3. SQL is case insensitive – One can use any combination of lowercase and uppercase character to write an SQL query. In SQL, UPDATE is the same as update or UPdate. This reduces the possibility of syntactical errors in the queries. 4. Security in SQL – Not only does SQL allow you to carry out different operations on a database but also lets you make different views of a database for different users. 5. Data manipulation in SQL – Despite being simple, SQL is a powerful language as it lets one access many records with one single command. So you find SQL interesting but still wondering why you should learn SQL basics? Well, here’s your answer! Since so much of the business is digital now and organisations need to maintain databases, they also need someone to manage these databases. This makes SQL one of the most sought-after skills by employers. Not only are they keen on employing someone with a fair knowledge of SQL but also offer really good money. Here are some career prospects that you can look for after you have gained a proper knowledge of SQL language. 1. Database administrator (DBA): A DBA supervises multiple databases and ensures that they’re safe and stable. She also assigns different degrees of accesses to different users to keep the database secure. Apart from this, she makes sure that there is enough disk space for the database to work properly. 2. Data analyst: At a job that requires you to extract and analyze the data stored in databases, you need to write SQL queries to handle various data analysis tasks. 3. Database developer: As a database developer, SQL would be your primary programming language. You’d write SQL codes for creating and maintaining databases, develop new applications for databases, and test them to optimize the system. Needless to say, if you wish to become a web developer (full-stack or backend), you’ll need a fair knowledge of SQL. Now that you know what is SQL and why you should learn it, let’s shift our focus on how to learn SQL. So are you ready to take the leap from Excel sheets to a database? Well, we have a database for all your learning needs! With Internshala’s Web Development Training, you can learn SQL online along with the prequel and sequel to SQL, i.e. HTML, CSS, and Bootstrap and PHP respectively. This training offers a comprehensive SQL tutorial on writing SQL queries to create, manage, and store information in a database. Designed especially for beginners, it also teaches you how to create web pages from scratch, style them, make them responsive, link them to the database, and perform operations on the database. What are you contemplating now? Enroll in Internshala Web Development Training and learn Structured Query Language along with the basics of HTML, CSS, Bootstrap, and PHP, and design your very own e-commerce website! Oh, and did I mention you can avail an additional discount of 10%! SQL is the searched query language which is used to manipulate or better to say manage the data using various query. The given information about the SQL language is very nicely explained in this blog which is very effective for the viewers you can also visit hp Canada support for more information or if face any kind of issue to install the SQL software. Wire-IT Solutions is one of the best network security providers across the world and it offers top-rated internet security and network security services. Wire-IT Solutions delivers all-inclusive IT security services to enterprises. Companies are given proprietary technologies and customized services to protect against sophisticated cyber threats while conducting risk management. Wire IT Solutions IT services are just a phone call away at 8443130904 . I am glad to gain this remarkable information from you, and I am certain that this content might be beneficial for most of the seekers. In the Digital world, we know the Internet is used to get the works done properly and also within the shortest time period. Thus make your internet always trouble-free should be the utmost priority for every Internet user. If anyone is facing problem regarding Netgear, they can take help from Netgear Support, I also get help from here. Awesome share.!!!!!!!! These career blogs are just fabulous. I have gone through these blogs and found them to be very helpful and motivating. I will share these blogs with my friends as well. Keep blogging. Nicely describe the SQL database. Thanks for sharing this informative post. AOI Tech Solutions is a best network security providing company in US, UK, Canada and Australia. Higher customer satisfaction and affordable services. Trained experts with lot of experience. For more details call us – 888-875-4666. Tekwire is a best network security providing company in US, UK, Canada and Australia. Higher customer satisfaction and affordable services. Trained experts with lot of experience. For more details call us – 844-479-6777. Thanks to internshala blog. Your “What is SQL and how to learn it – Introduction to SQL for beginners!’ is a wonderful article. It is really very helpful for those who looking for their basic SQL course. You have also explained the advantages and features of SQL. I am also one of SQL beginner I were started my online SQL course last month. I purchased a SQL video course from Brain smart labs. They are handling a unique way to teach and explain with suitable examples and DIY questions and etc., once again thank you so much for this remarkable informations. Your topic so nice and so nice blog. Please post some related blog for us. I am waiting for your next blog and visit our Printer is offline Windows 10 website if you are getting issue then visit our website. Nice post thanks for sharing this informative post..!! I think, This post is a Very Important. I am Very Interesting this your post. So I am waiting for your next post.